Top of the range test capability available to all. 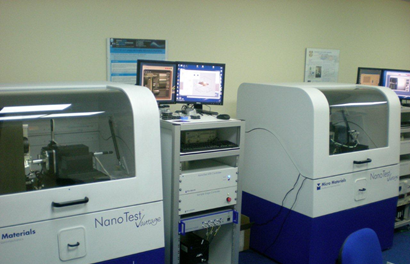 Micro Materials have over 25 years experience in the field of nano-mechanical testing. Our dedicated, experienced applications team are able to provide test schedule recommendations on a wide range of materials. We are able to provide a test facility for everything from short projects requiring mechanical properties from a small number of samples to longer term projects requiring advanced analysis of a large number of materials. We pride ourselves on our record of working closely with our customers to ensure that they get the results they need to move forward with their product development. For more information about our test facilities or to request contact testing please fill out the form below, a member of our applications team will contact you to answer your request.